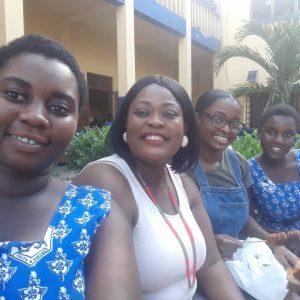 Anita Wiafe-Asinor is a wife, and a mother of two girls. She runs her own HR and Management Consultancy (OML Africa) where she is one of the lead HR, Labor and Organisational Development Consultants as well as the MD. She is a rising serial entrepreneur in addition to the consultancy, and runs a Nanny agency (Ace Nannies), and a Lingerie retail business (Delilah’s Secret). 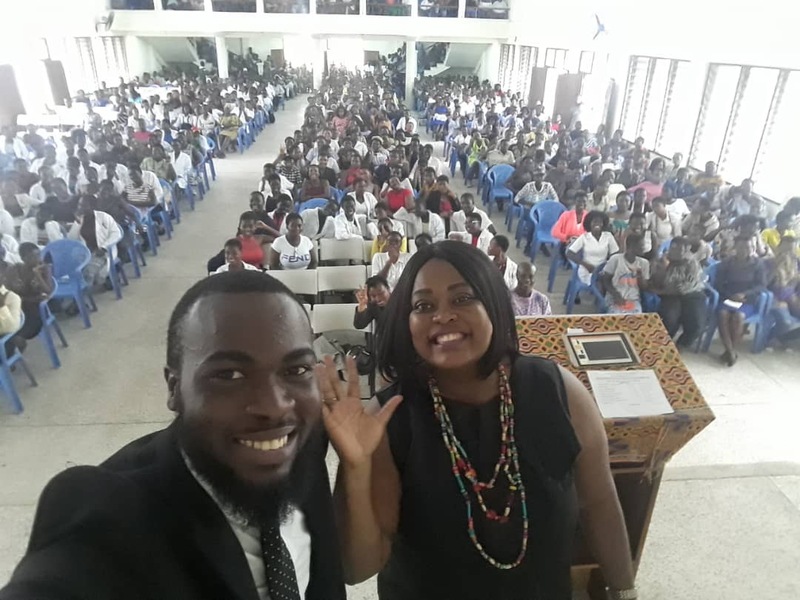 She is also a certified SCORE trainer for the International Labor Organization (ILO) and consults on a number of projects in various countries in Africa. When she is not working, she enjoys being at home spending time with her family and friends. She likes watching movies and reading. We had a chat with Anita to find out about her experience as a mentor in the Ahaspora Changing Mindsets Mentoring Program. 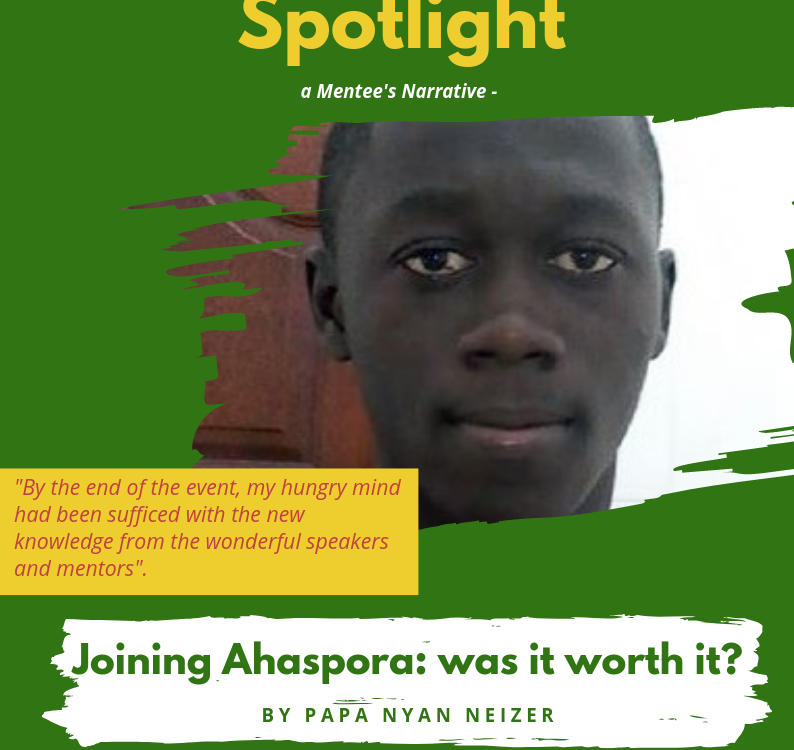 What inspired you to give back through the Ahaspora mentoring program? I joined the Ahaspora network a while back when a good friend recommended the network. But I was a silent member. Then one-day information was sent regarding mentorship. I read it and liked the aims and objectives so I decided to participate and give back. When I was back in the UK, I was a mentor to many young people from the African community through workshops and programs I used to run. I wanted to do the same in Ghana but I was not making time until now. I believe mentoring and coaching young people is key in developing future adults and leaders. 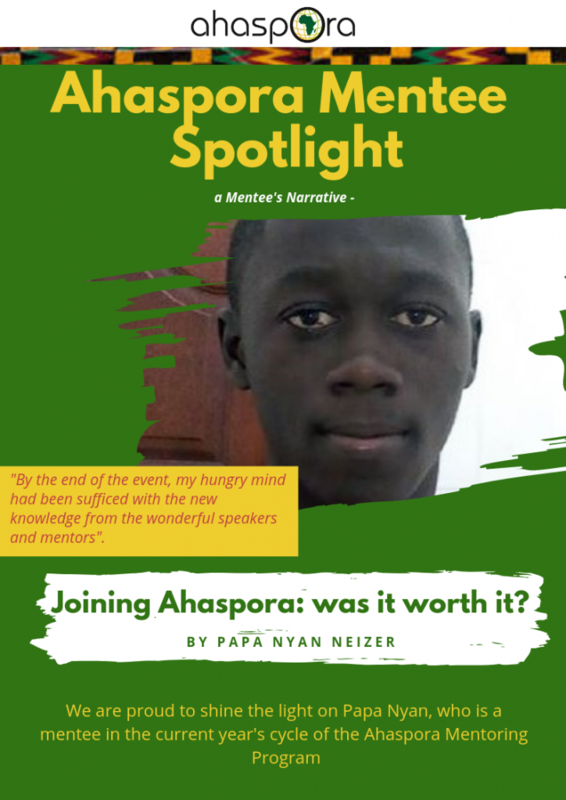 Is this your first time mentoring with Ahaspora? What has been your experience so far as a mentor? The experience so far has been great. I am really enjoying it. I like my mentees a lot and they are great to mentor. I have learned so much about what it means to be a young person in Ghana right now. 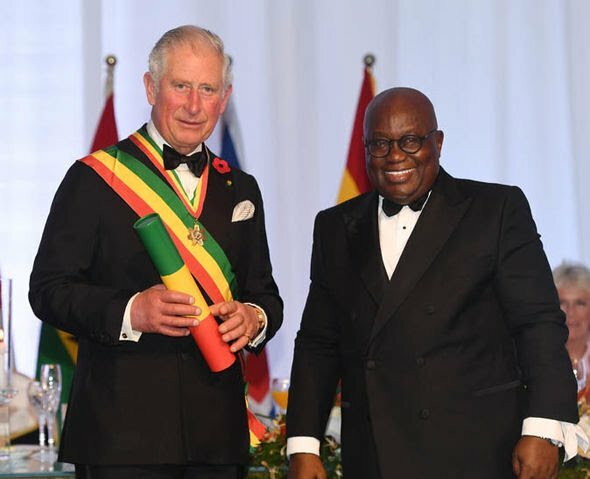 I have been visiting them at school and it has given me insights into the Ghana education system too. This has actually led to me to look at other ways to help young people. So I would definitely say that it has so far been enlightening. I am so glad I made time to do it. What has been your most memorable moment with your mentee? I would say my recent talk at their school to the whole school; I believe they were very proud of me. I also think our meet-ups and chats. What would you say to aspiring mentors? I would say to them to take the time and put themselves in it. They should give it a good go, and they will be amazed by the positive impact they will have on their mentees. Being a mentor is a special privilege because you are invited to speak into someone’s life which can make a real difference. I used to be one of those “I don’t have much time” people, but through this experience I have learnt to make time. To be a good mentor you need to prioritise and make time. Would you recommend this program to aspiring mentors? Why/why not? Yes, I would because we need more people to mentor our young people. But more so because I believe the potential mentor would enjoy the experience and also the opportunity to give back.